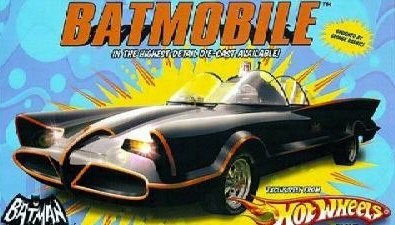 The 60's TV version BATMOBILE: Elite issue - made by Mattel. Elite issue is more detailed than the standard issue, with opening features, and fewer made. 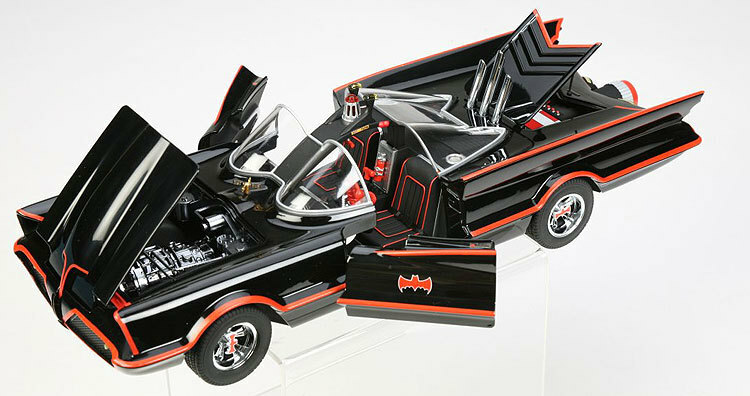 The Comic Con Flocked Batmobiles are going for up to $700! 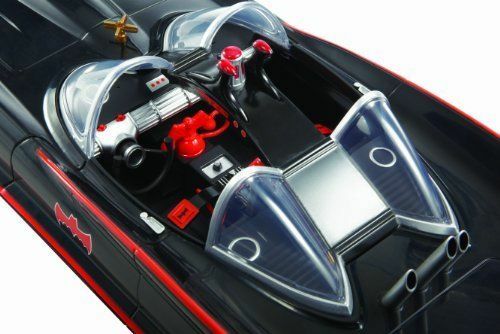 This will look much nicer in gloss black and all those details you wanted to touch as a kid watching the caped crusader and the boy wonder. 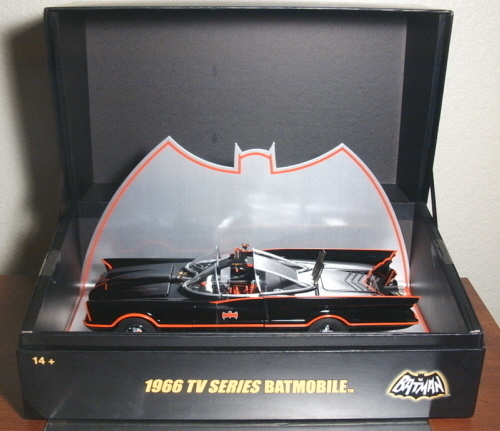 This will be a centerpiece to any Bat-collection. Features: Opening Hood & Doors. 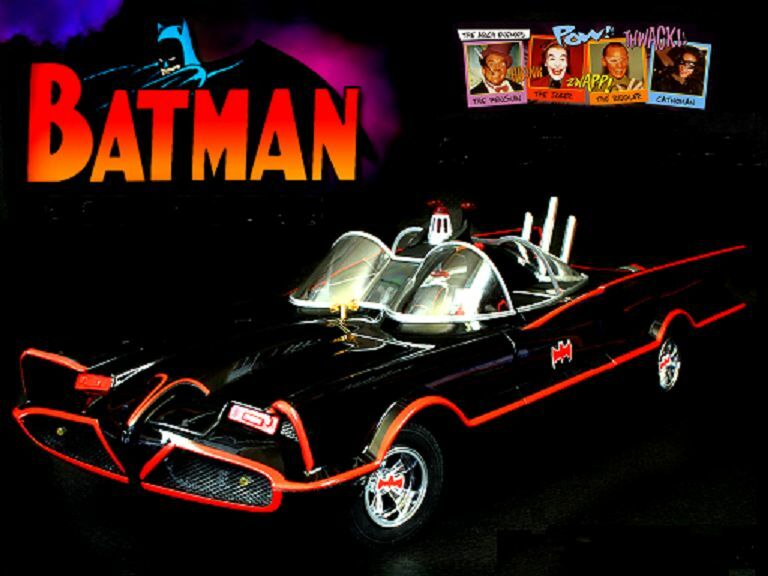 Bat-tastic � Mattels Move Into Upscale Quality. 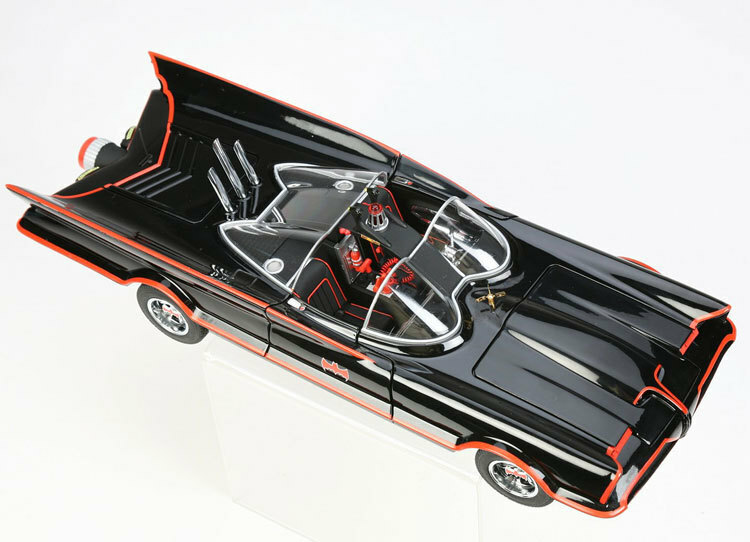 Bat-tle royale � This offering is for the Hobby ELITE Edition Bat-ilicious � Super detailed with an extensive amount of photoetched and multi-surfaced parts. Holy bat-vision, there's more!